The 2018-2019 Canadian competition season is underway and I’m in my last year as a Junior. 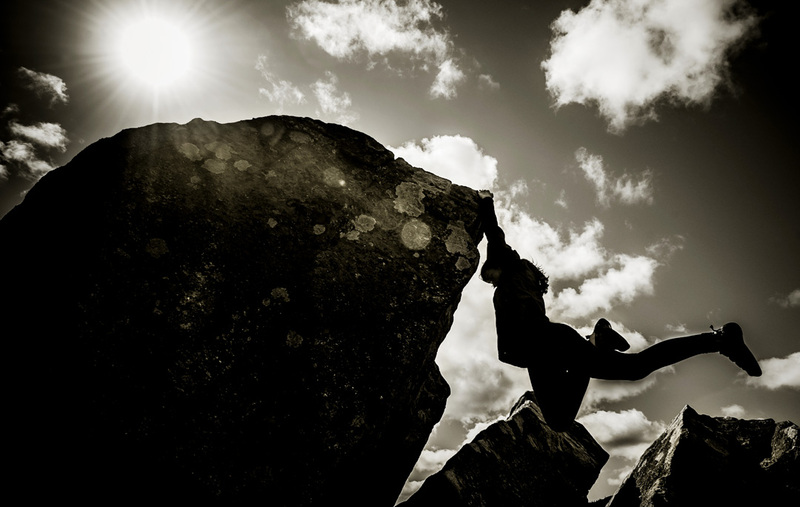 Boulders first and lead in the spring. A big THANK YOU to everyone who has supported me on this ride, prAna, Scarpa, Les Agence Stephane Morin Sports in Montreal and The Outfitters in St John’s. 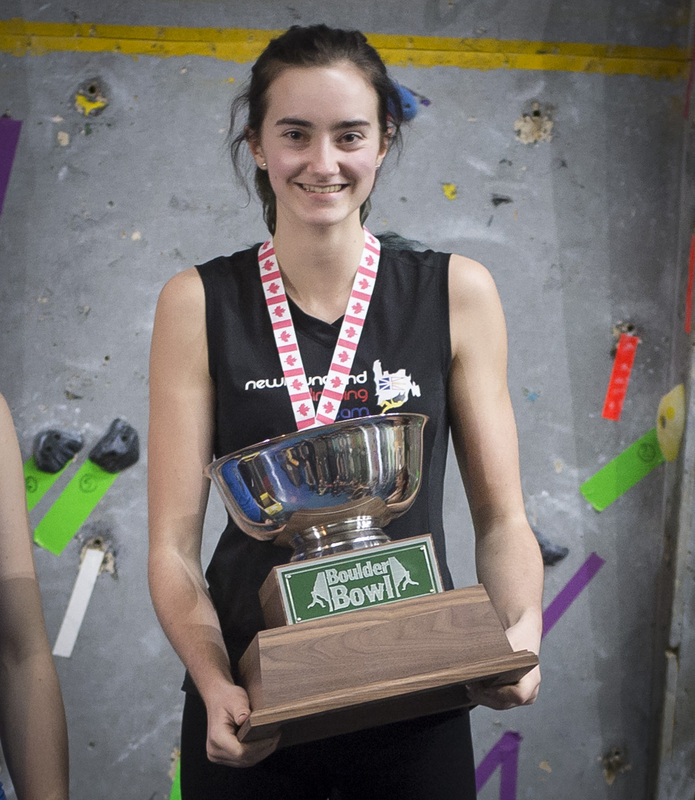 Just completed the opening round of Tour de Bloc National Bouldering Series at Seven bays Bouldering in Halifax, winning a first place in Youth (U19). It was a Atlantic regional qualifier for CEC national Championships so I’ve qualified for Youth Boulder Nationals and Open Boulder Nationals in the new year …my last year in junior!! 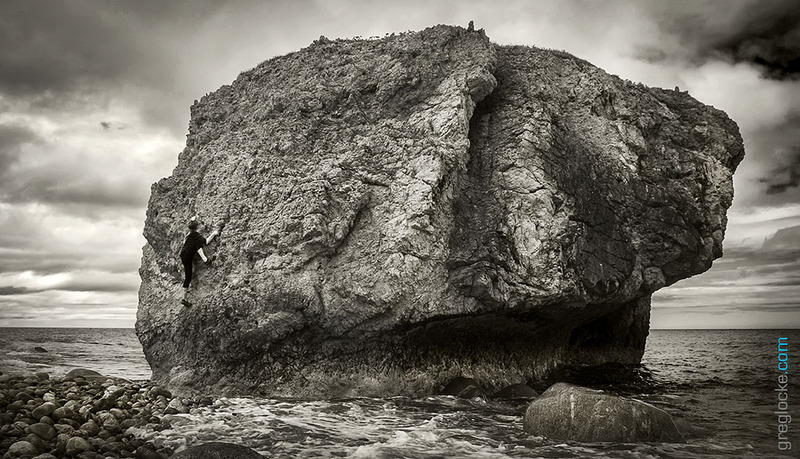 I started rock climbing at Wallnuts Climbing Centre in St. John’s, Newfoundland when I was 10 years old. Two years later I was on the Alpine Club of Canada Newfoundland junior climbing team and in a competitive training regime. By 15 I had competed in a dozen competitions in Newfoundland, Ontario, Nova Scotia and Quebec. In nationally sanctioned events I compete in the CEC/IFSC age classes and have won competitions in Newfoundland, Nova Scotia and Quebec. In 2017 I went to my first national championship event. I have been to two National Youth Bouldering Championships and qualified for two national youth Lead and Speed championships. 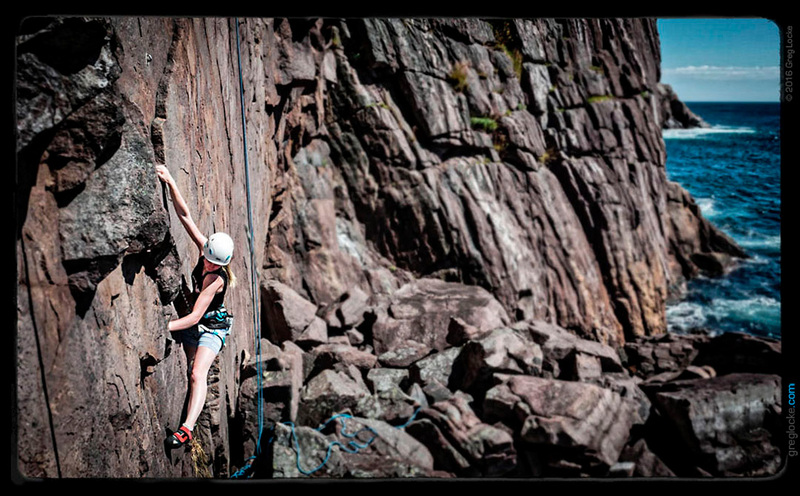 I have also competed in Open class at Tour de Bloc and in Newfoundland competitions …even winning sometimes! I have been to four FQME Coupe Quebec provincial championships so far. I love to compete in the gym but I’m also a member of the Alpine Club of Canada and FQME (Fédération québécoise de la montagne et de l’escalade) and love climbing outdoors and with the great bouldering, trad, sport and ice climbing offered around my home province of Newfoundland and Labrador. …it’s an ongoing adventure. You can follow along on FaceBook and Instagram,,and TWITTER! We were on TV! …Thanks Jeremy Eaton from CBC TV in St John’s., Check out Lily and I on CBC Radio in St John’s! …and on The Sports Page! PHOTO GALLERY. …click the thumbnails for larger images. 1st Place. Woman’s Elite. RockFall (combined boulder/rope). Wallnuts Climbing Centre. St John’s, NL. Mar 24, 2019. 1st Place Youth. Tour de Bloc 16 National Bouldering Series. Seven Bays Bouldering. Halifax, NS. Nov 24, 2018. 2nd Place Youth A/Jr. Wallnuts Youth Boulders. Wallnuts Climbing Centre. St John’s, N.L.. Jan. 12, 2019. 1st Place Woman’s Youth (U20). RockFall combined climbing competition. Wallnuts, St John’s, Newfoundland. March 25th, 2018. 18th Place. Woman’s Junior. Canadian Youth Bouldering National Championships. Delire Escalade. Quebec, QC. February 17th, 2018. 10th Place Woman’s Open. Tour de Bloc National Bouldering series. Seven Bays. Halifax, NS. Oct 2017. 1st Place Woman’s Open. Bloc on The Rock provincial boulder comp. Wallnuts Climbing Centre. St. John’s, NL. Nov 2016. 2nd Place Open. ACCNL Flat Bloc Fest Outdoor bouldering endurance competition. Flatrock, NL. August 2017. 6th Place, Woman’s Open. Tour de Bloc National Bouldering Series. Seven Bays Bouldering, Halifax, NS. Feb 2016. 1st Place Female Youth B (14/15 yrs) TOUR DE BLOC, The Bloc Shop. Montreal, Que, Canada. Nov 22, 2015. Alpine Club of Canada (NL Section) Flatrock Climbing Festival. Flatlock, Newfoundland. Canada. Alpine Club of Canada (NL Section) Flatrock Climbing Festival. Flatrock, Newfoundland. Canada. Aug 14. 5th Place Woman’s Open. BOULDER COMP. Wallnuts Climbing. St John’s, Newfoundland. Nov 19, 2012. …visit # Explore Newfoundland. for more adventures in the Newfoundland outdoors. I’m very grateful for the support of Prana, Scarpa, Agence Stephane Morin and The Outfitters who make this adventure happen. We are happy to support these great little climbers and their friends the toucans as their habitat is altered in Central America. Profits from Slothgrip sales go to The Sloth Institute and Toucan Rescue Ranch in Costa Rica. ...do some good in the world.